Last year was the first time I attended a music festival. Although it was an enjoyable experience, I do wish I was better prepared for it. The amount of walking you have to do and the length of time you’re standing is beyond. The heat during the day and the chill during the night was definitely a shock. In addition to the weather, what to wear to Coachella is the most important thing to know. Yes, you want to look cute and cool but your outfits should definitely be functional. These are just a few things I wish I knew before going to Coachella. Like most people, I was very happy to be there. Just like Prince Hakeem in Coming to America. This was the year Beyonce did her epic performance. So, my excitement level was on 1,000. 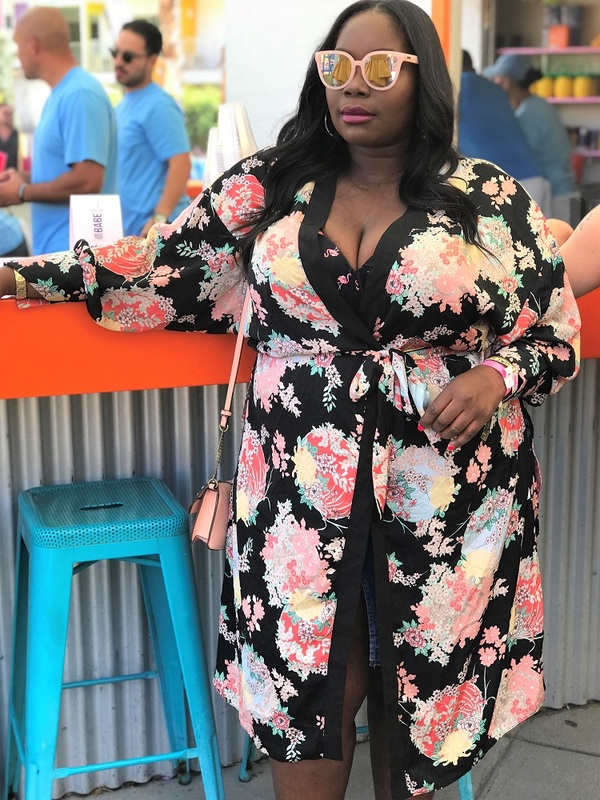 You can read more about my personal experience in “My First Coachella.” While just being there gave me the adrenaline that I needed, I definitely want to breakdown what I wish I wore and brought with me for those two long days. 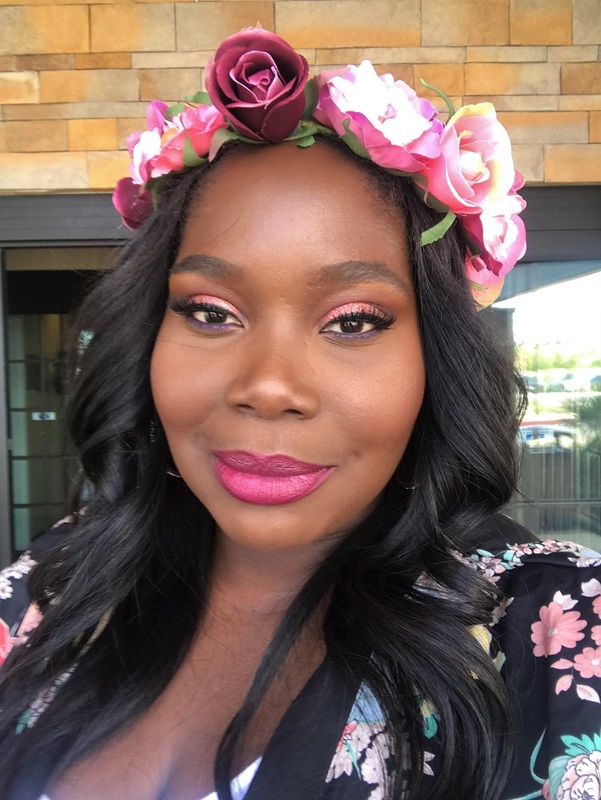 If you’re headed to Coachella this year, then let me help you out and let you know what you will need to survive Coachella. First things first. Let’s talk about what to wear to Coachella. During the day the heat is blazing. You will fill like you’re in a heat vortex. It’s hazy and humid. There are thousands of people there so it can feel more stuffy. There’s a lot of dirt. Obviously because you’re in the dessert. Taking all of this into consideration here’s what you should wear. I say go with shorts, maxi dresses,kimono’s, and linen or light weight pants. You can also do crochet and fringe. DO NOT wear jeans. Jeans will weigh you down and make you feel even hotter than it already is. Also, please don’t wear your fine fabrics. They will be destroyed. To stay cool go with breathable fabrics like linen and cotton. If you go sleeveless or wear something short, make sure you bring a jacket or sweater with you and tie it around your waist or roll it up and put it in your bag. You’re definitely going to need a sweater or jacket for the evening. Also, it can double as a blanket to put on the ground. There are not a lot of places to sit but on the grass. As for footwear, its better to go with closed toe shoes. I use to always wonder why girls in Cali wore boots with shorts and now I know. All the dirt and rocks will definitely have your feet looking like 12 years a slave. I wore cute open toe lace up sandals and by the end of the night my feet were darn near unrecognizable. The best shoe options are ankle boots, closed toe espadrilles, and sneakers. The only way you can wear open toe shoes is if you’re attending Coachella VIP style and being driven around in a buggy. 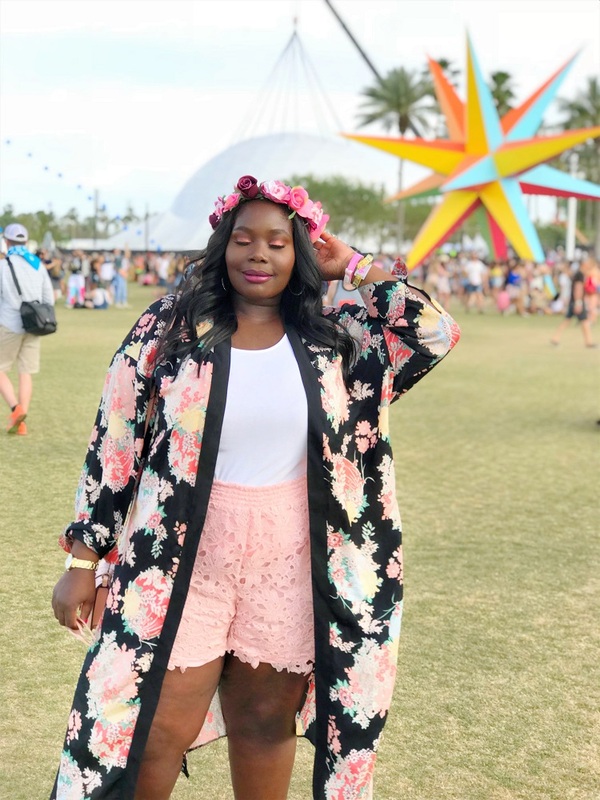 The best places to shop for festival clothing in plus sizes is ASOS and Forever 21 plus. They offer a ton of festival fashion options. It pains me to say this ladies but nix your shapewear. I wore shapewear my first day and it literally felt like I had on a wet suit. This is the time where you are just going to have to let it all hang out. It’s too hot to be restricted. Especially when you’re walking around for hours. The second day I didn’t wear shapewear and I felt so much better. It was also a freeing and body positive moment for me. If you choose to wear dresses or a skirt and you know your thighs touch, then make sure you have some sort of chub rub ointment or powder to hold you down. Please believe me that your thigh meat will rub together. Especially after all the walking you’re going to be doing. If you don’t use any chub rub prevention your thighs will be raw by the end of the night and you will be wobbling back to your hotel room. Below are a few chub rub prevention creams, ointments, and sticks you can bring. You wouldn’t think that the type of bag you carry with you matters but it does. If you’re going to be at Coachella from sun up to sun down you will need something to carry your belongings in. I suggest a waist pouch or a backpack. You can also do a shoulder bag but just make sure its not a gigantic one. Again, you’re going to be walking around all day so you don’t want too many things weighing you down. Since you’re out in the sweltering heat, you definitely will need sunscreen. Make sure you use suncreen above SPF15. Also, there are obviously a lot of bugs flying around so please be sure to have a bottle of bug spray in your bag. Without a doubt sunglasses are needed. Especially if you come out earlier in the day. Last year I felt so dehydrated on the first day. One reason, I wasn’t drinking enough water. If you don’t want to over pay for a bottle of water, bring your own water bottle. Coachella has water fountains that you can fill up your water bottle from. Now for the straws. When I went last year and ordered my lunch and a nice ice cold lemonade, I asked for a straw. Unbeknownst to me, Coachella doesn’t have straws. They’re trying to be all eco-friendly. Boy was I annoyed. I know it doesn’t sound like a big deal but it was to me. I don’t like to drink from plastic cups without a straw. How do I know the cup didn’t fall on the floor? LOL! If you’re like me and think this way, I just wanted to give you a heads up that you will definitely need to bring your own straws. If you’re going to wear makeup to Coachella, try to wear as little as possible. However, if you’re a makeup lover like me, then you better pull out your most matte and waterproof foundations. I did wear makeup and felt like it held up pretty good. With me, I brought my Becca Matte primer from Fenty Beauty Matte foundation and Kat Von D Lock it Tatoo concealer. I didn’t retouch any of my makeup and just let it naturally wear off. By the end of the night, you couldn’t tell. You will definitely need powder. As for eyeshadow, keep it simple. Do one bold color or a colored eyeliner and you should be good. To check in to Coachella you literally have to walk about a mile and a half to get in. You’re not just walking a mile on a smooth surface but you’re walking on all the dirt and rocks. At the end of my first night at Coachella I felt like I went a few rounds with Floyed Mayweather in the jungle. I was deliriously tired. My neck, back, and legs ached. Also, I looked like I was rolling around in the dirt all day. So, by the time we had to leave, I was not mentally prepared to walk a mile back to our van service. I highly suggest renting one of the bike buggies (not sure if that’s what you call them) to take you to the entrance. 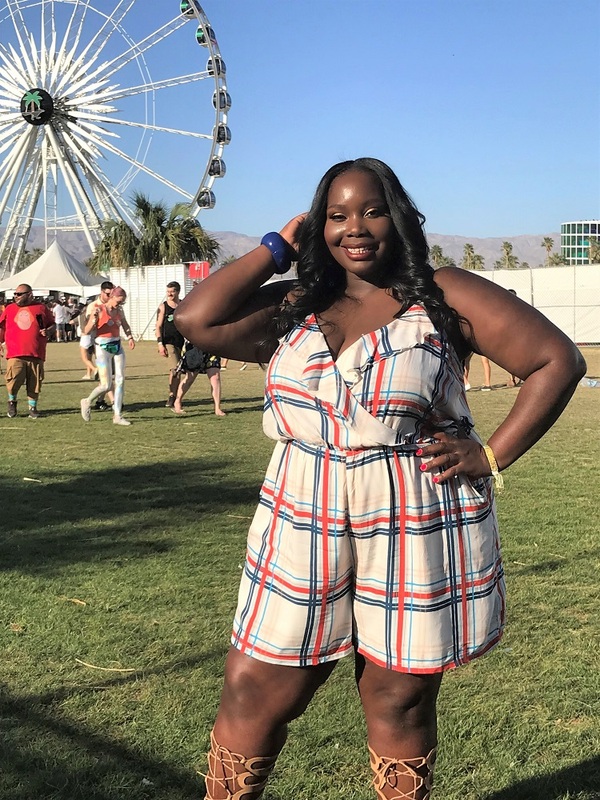 Surprisingly, Coachella was one of the most body positive events I’ve ever attended. Initially, my thought was that people were going to be looking at all the plus size girls like what does she have on. Gladly, I was so wrong. I saw so many plus size girls there wearing short shorts, oversized dresses, crop tops, sheer dresses with just bra’s on. I also saw women of all shapes and sizes complimenting one another on their outfits. It was amazing. I hope this guide is helpful to you. Enjoy Coachella! I read this article and found it very interesting, thought it might be something for you. 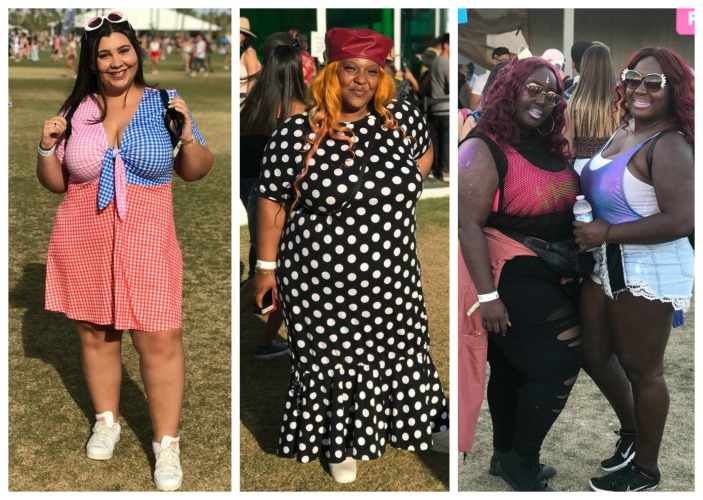 The article is called The Plus Size Girl’s Guide To Surviving Coachella and is located at https://stylishcurves.com/what-to-wear-to-coachella/.